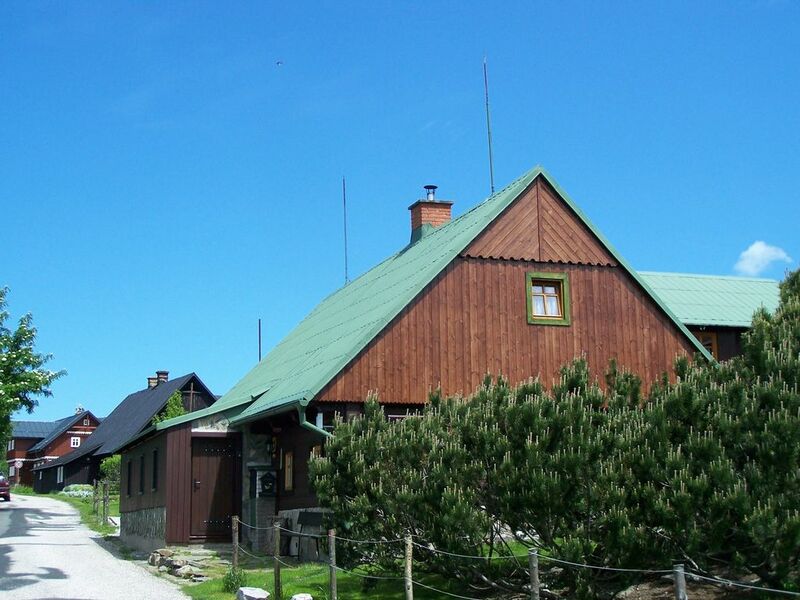 Your vacation object: The holiday house is placed on a 500 sqm and an open property with meadow. The owner lives permanently in the house or, but uses a separate entrance. The facilities are at your disposal for common use. Relax outdoor at the terrace or the sunbathing area with garden furniture. Barbecue possibilities are available. The campfire place promises romantic evenings. Altogether 15 beds. Internet access is available in the complex (WLAN). If required, you can use the lounge. The common used pool area is open from the beginning of July until the end of August and offers an outdoor pool (diameter 2.5 m, depth 1 m). Your holiday house: Your holiday house consists of 2 floors, 5 rooms (from which 4 bedrooms), is 130 sqm and can accommodate up to 15 persons. Smoking is not permitted inside the rooms. On colder days your holiday house can be heated with electric heating. The entrance is ground level and leads directly in the vestibule. The rooms are divided as follows:Ground floor: Dining room with fireplace, dinette and TV. Bedroom with 2 single beds and dinette. Bedroom with 4 single beds and dinette. Bedroom with 3 single beds and dinette. Kitchen with dinette, gas stove (8 burners), oven, refrigerator, microwave and electric water boiler. The dinette offers space for 15 persons. Corridor Bathroom with shower. 2 Separate WC each with WC.1st floor: Bedroom with 6 single beds and dinette. In addition, your holiday house is equipped with WLAN- internet access. TV or radio channel can be received per satellite. Available all TV programs that are not coded, SAT Skylink are - Astra 1 and 3. Pets: erlaubt, CZK 100.00/Tier und Tag. Ground floor: bathroom with shower. 2 separate WC each with WC.